BMO Automation software makes the robot’s teach pendant superfluous. 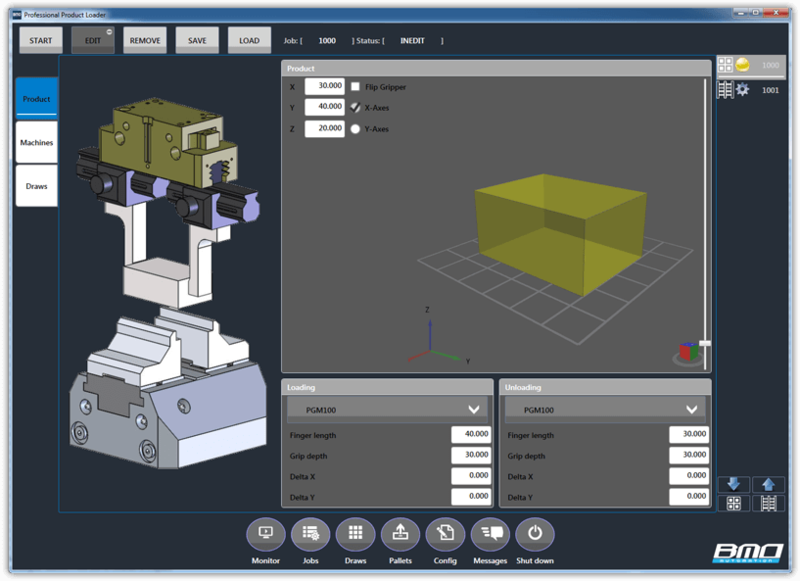 The software works on a touchscreen panel-pc, and makes it so easy that you can reset the robot in less than 1 minute. 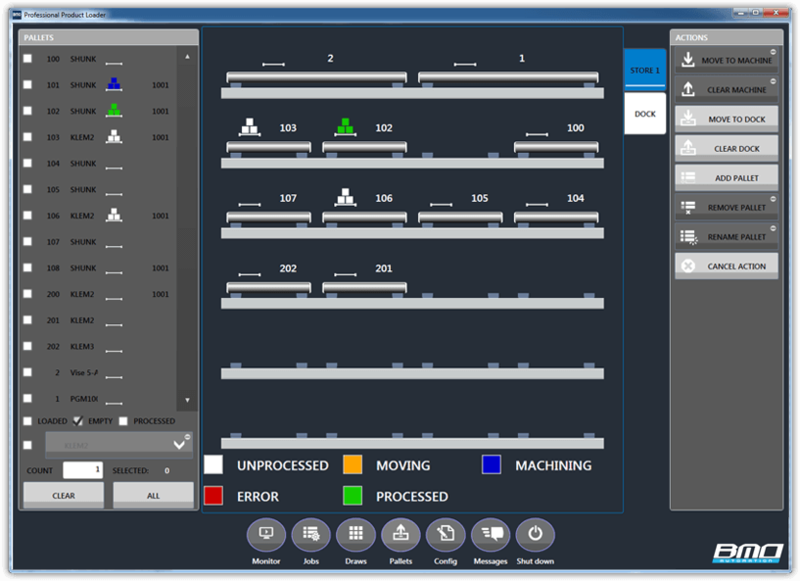 Another important advantage of the software, beyond the set-up, is the monitoring of the process. The remaining time, cycle time, and products processed are all calculated and can also be accessed remotely. “Multi-machine control” for an infinite number of machines is possible. 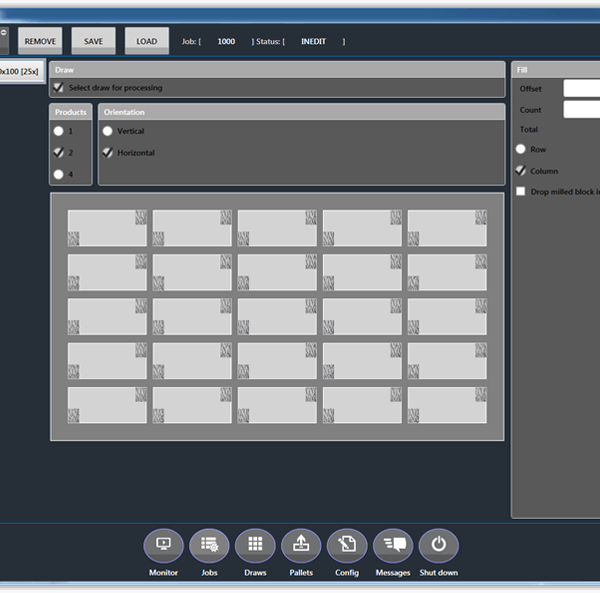 Jobmanager works entirely under Windows and can be accessed from every pc in the network. 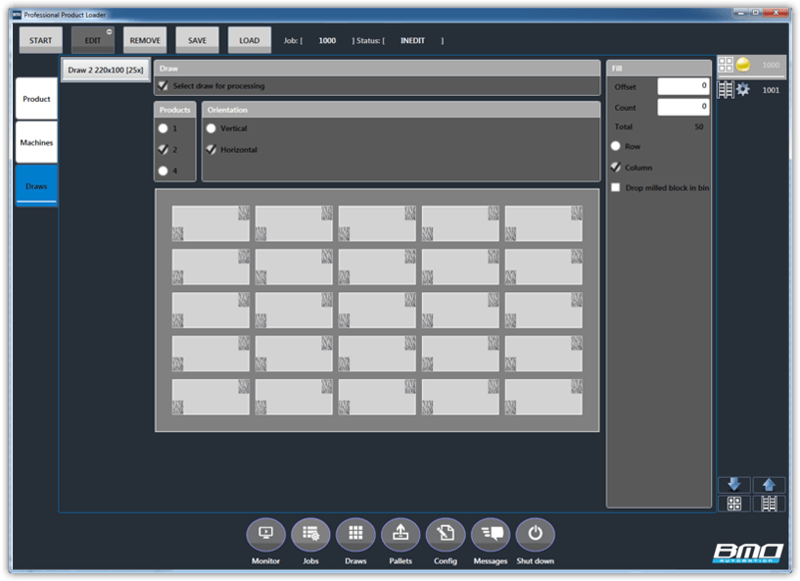 Job manager is flexible software for loading different products, both pallets and products. 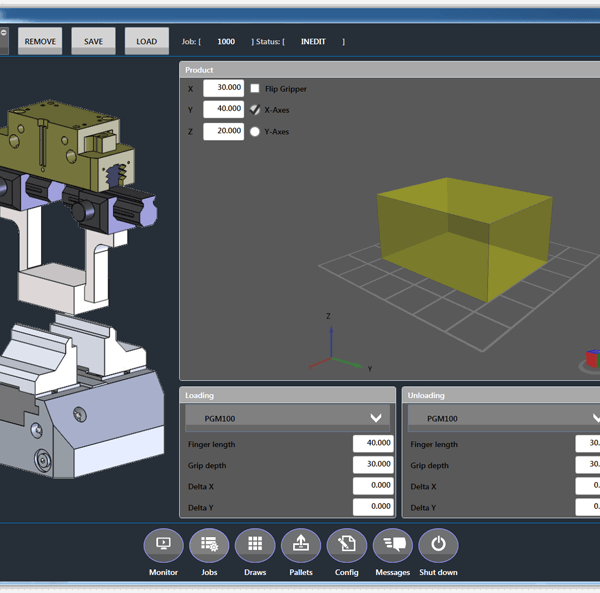 This entirely new software makes it possible to program the robot via a dialog. When creating a job, grippers, fixtures, machines, etc. can be chosen via the dropdown menus. You can choose pallets with fixtures, or products from the trays, or a combination of both. You do not need any knowledge of robotics for this. 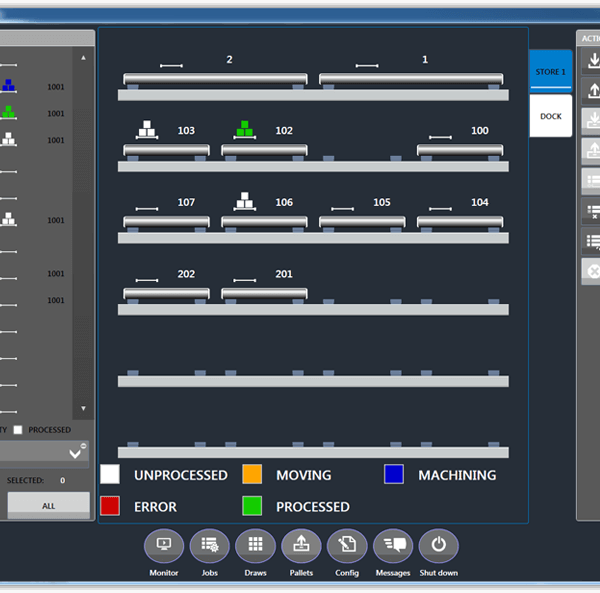 Job manager can work with an infinite number of machines and can be monitored at a glance.